And just like that, the German national football team has been knocked from the competition. For those who haven’t been following this year’s unpredictable, yet exciting FIFA World Cup, the World Champs of FIFA 2014 were dealt a wincing blow yesterday, after a back and forth game that ended with a surprise 2-0 loss to South Korea. Following a commanding win by their rival, Sweden, against Mexico, the hardy German team was unable to muster the points needed to escape the Round Robin, which effectively ended their championship hopes this year. 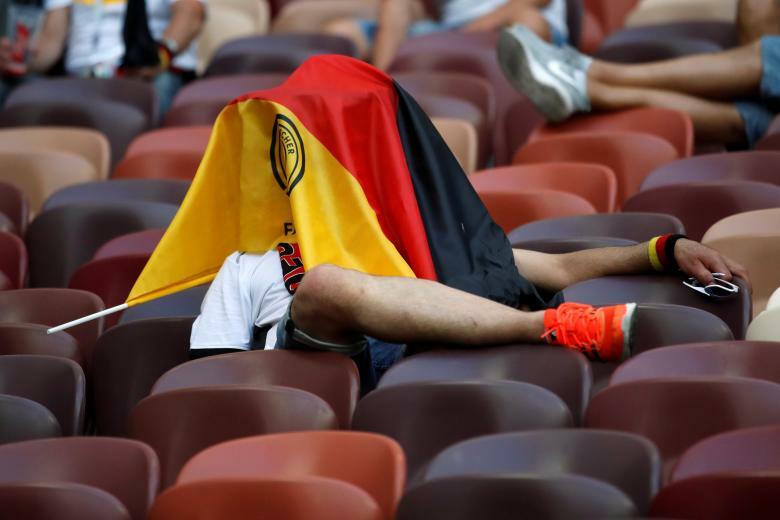 Despite the disappointing finish, Germany remains as one of the world’s most successful football teams with a 74-year history that includes hundreds of goals and four World Cup titles. With a current team that is both promising and brimming with skill and potential, it’s no doubt that they’ll return in fighting shape for the next World Cup. Until then, here are five German beer and food halls where you can relive the good times and while away the time until the team’s next victory! Otto’s Bierhalle is a relatively new fixture in the Queen West neighborhood, replacing the locally famous Bristol pub just two years ago. 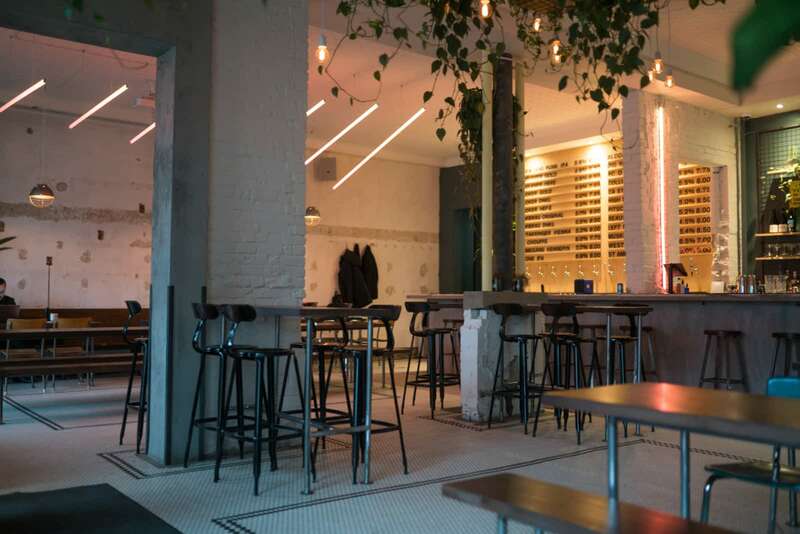 With a bright interior and rows of long tables, the restaurant recreates the communal vibe of an authentic German beer hall, where food and beer are shared freely between friends and co-workers. The restaurant features an extensive collection of ales, lagers and ciders and endless dishes of German grub. Be sure to try out the Bierhalle’s famous “feasts” – large platters that feature heaping piles of pork belly, wurst and schnitzel. 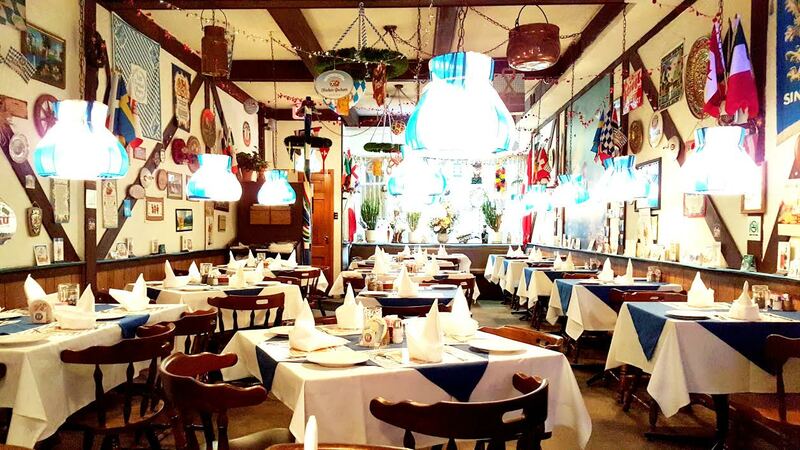 Having been around since 1965, Little Bavaria knows a little something about making guests feel happy and satisfied. Modelling itself after the simple cheer of a rural Bavarian beer hall, the restaurant is filled with photos, trinkets and memorabilia that evokes the warm quaintness of the German countryside. Much like the friendly folk of the German state, Little Bavaria often plays host to big events like Oktoberfest, Carnival and the occasional football match! Of course, it wouldn’t be a real beer hall without genuine German cuisine! The restaurant serves up German pork chops, sausages and schnitzel from virtually every meat imaginable. Be sure to also try the traditional Hungarian goulash – a thick and filling soup packed with tender beef cubes and hearty vegetables. A fixture of the King West neighborhood, Wvrst seems like an ingenious fusion between a swanky drinking lounge and a classic beer hall. While the restaurant features the long, wooden tables and benches that are iconic to German places, it also retains the fancy and sleek atmosphere of a trendy night club. As the name suggests, the restaurant is renown for its huge selection of German sausages, which are made from beef, pork and chicken, as well as more exotic meats such as elk, wild boar and kangaroo. 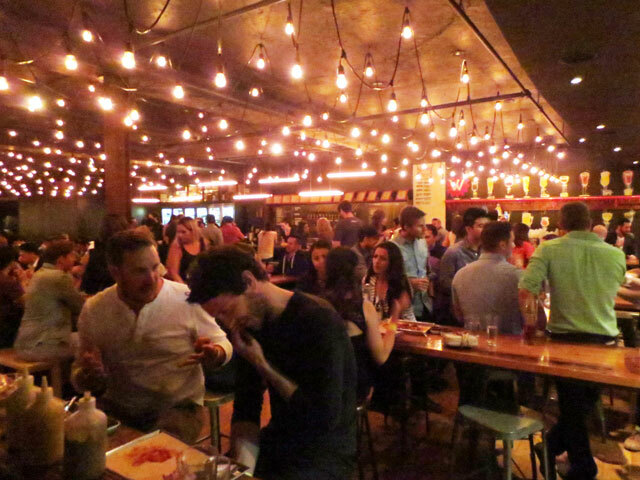 Drinks flow freely at Wvrst, with bottles and cans of over 600 different types of beer, along with 24 taps of craft beer and cider that frequently rotate. Whether you’re grabbing a light dinner or a quick bite after clubbing, this is the place to be! Barnsteiner’s – 1 Balmoral Ave. While it also serves up many dishes from Italy, France and Spain, Barnsteiner’s is at the very heart, a German restaurant. 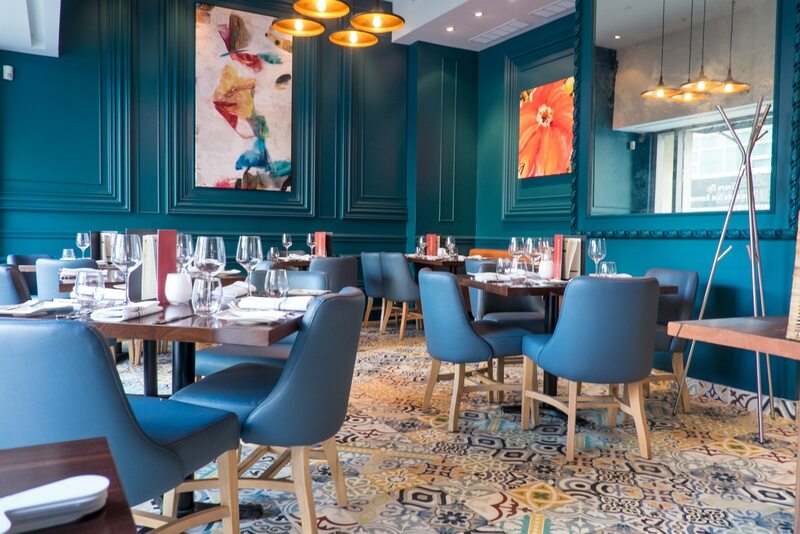 The restaurant was first opened in 2016 by Herbert Barnsteiner, a seasoned chef who was trained in various restaurants across Germany and Switzerland. Don’t expect too many raucous parties to go on in here, though. The restaurant itself has an upscale vibe, with neatly set tables surrounded by patterned murals and wood paneled walls that are painted a cool blue. The food closely matches the décor and even the simplest dishes like the veal schnitzel are presented immaculately. For those itching for an authentic German flavour, be sure to try the Chef’s Special, the Kaese Spaetzle, which is a “Bavarian Mac & Cheese” served with gruyere cheese and burnt onions. 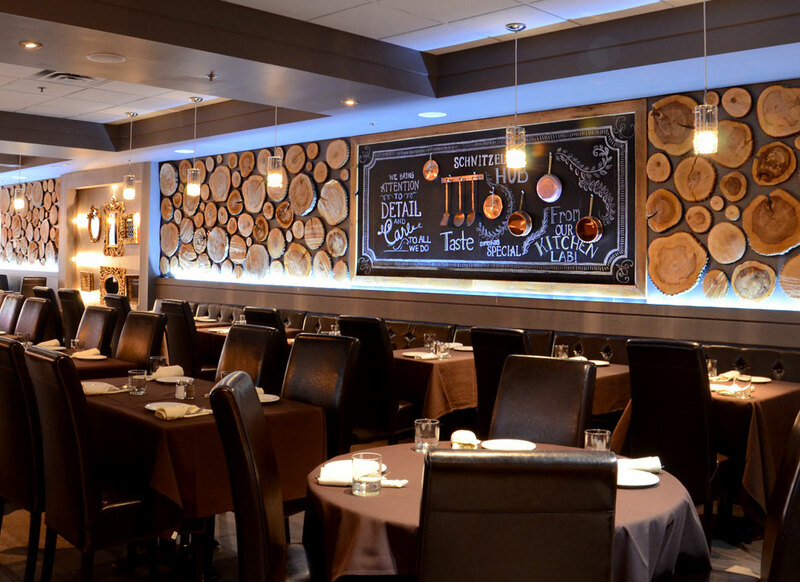 Schnitzel Hub – 1415 Yonge St.
For those looking for a balance between having a relaxed time and enjoying some fine dining, Schnitzel Hub is an excellent place to start. Although it has the general feel of a high-end restaurant, with a well decorated interior and rows of neatly set tables, there is a large corner with leather sofas where guests can kick back, enjoy a few drinks and have some snacks. For those that are looking to host events and functions, there is separate dining room that can be reserved for private gatherings. On top of the wide variety of schnitzel that the restaurant serves, Schnitzel Hub also has a good assortment of German sausages, which includes the “currywurst” – traditional wurst served with curry ketchup and sauce!